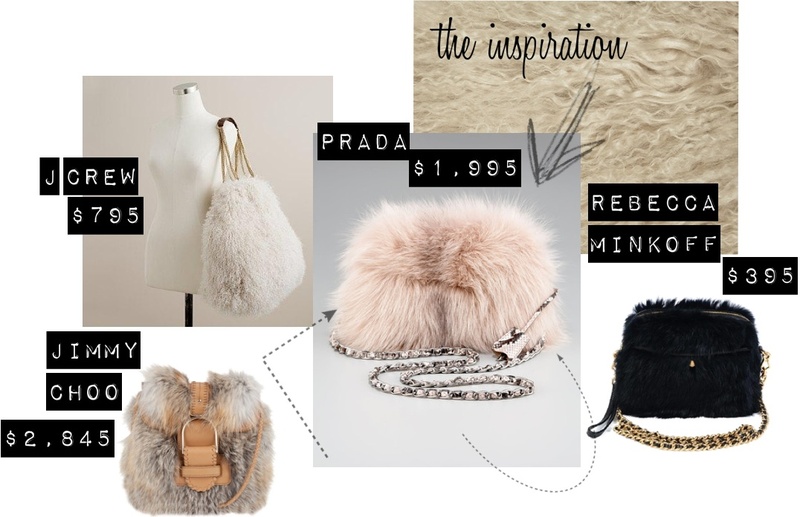 i promised i'd show you how to create your own faux fur bag HERE, well my lovelies..the time has come! Decide what size you want your purse to be. This doesn't have to be an exact measurement, just fold your fabric over on itself and tweak it until you get the right size. Cut the fabric and what you'll end up with is one long rectangular piece. 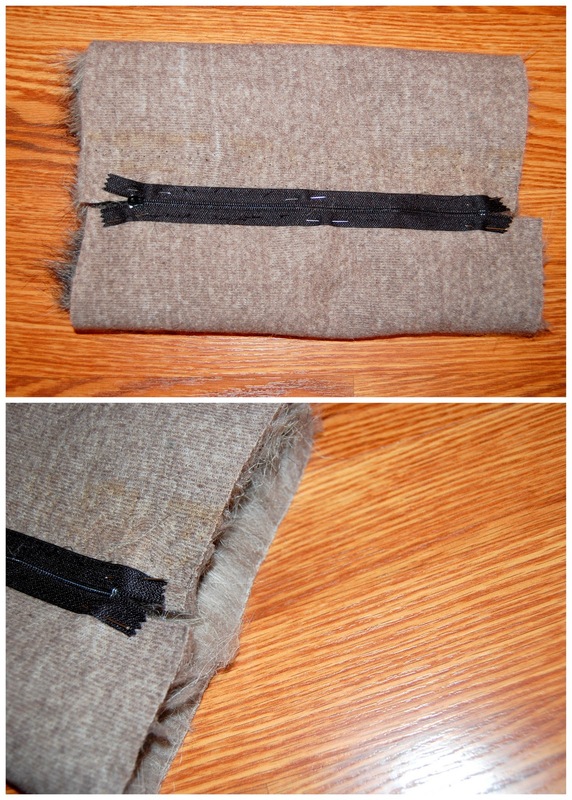 Flip your fabric inside out, and pin your zipper to the fabric. Remember to make sure that your zipper handle is on the INSIDE of the fabric (currently invisible to you). Play with your zipper, opening and closing it, to make sure that the fit is right. Sew your zipper to the fabric, using either a needle and thread or a sewing machine. Keep your fabric inverted and sew along the sides of the purse, leaving a little room between the end of the zipper and the side of the purse. But first, remember to unzip your zipper so that you'll be able to flip the purse inside out. Trust me, I forgot this step and ended up with a fully closed inverted purse...not fun. Remember when I said to leave a little room between the zipper and the sides? Well that's because you'll be sewing in your shoulder straps there. The lady who cut my shoulder strap used foam tape to protect the ends of the metal from scratching anyone, i just left them on. To prevent the shoulder strap from slipping through the pocket you left open, double knot the ends. FYI, the hair from the faux fur tends to shed! This is confusing to explain, but I'm hoping the picture will clear things up. With your purse still inverted, tuck the knotted edges of the shoulder strap through the pouches you made earlier. Sew the strap into place. I used a regular thread and needle for this to get a more exact fit. Flip your purse inside out and voila! You're done! You did an amazing job! What a great inexpensive alternative! The final result is just fabulous! How did your sewing machine do on the faux fur? I'm a little afraid to try it! WOW! I am so impressed!!! Brilliant! You are so creative! Omg this is awseome! great post I wish I was creative! this is really great! wanted one of these furry things for quite some time. you make it seem so easy...but zippers scare me!! !